Soccerex USA takes place this year in Miami, Florida at Marlin’s Stadium on November 15-16. 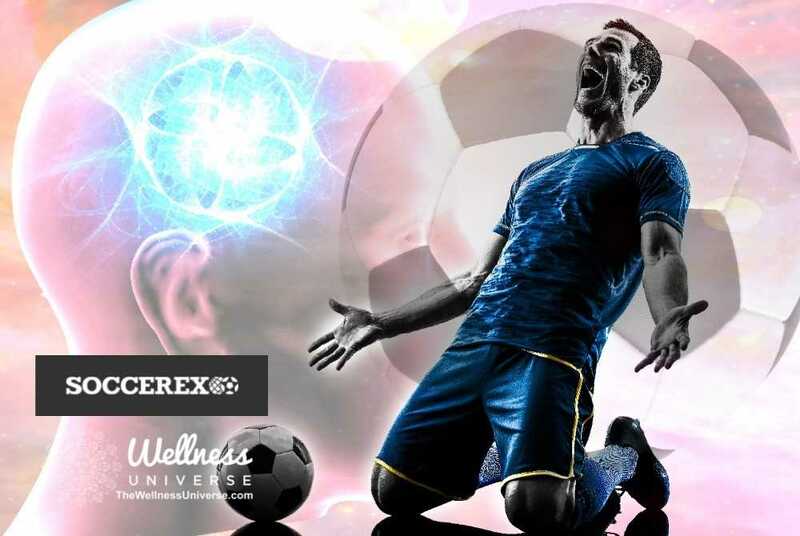 The Wellness Universe proudly brings top-level coaches, therapists, methods and products to you in the Soccerex Wellness Zone. Sponsored by the London Football Exchange (LFE) and with the support of an Advisory Board including senior members of CONCACAF, MLS, and US Soccer, Soccerex USA will provide two days of unrivaled commercial, networking and learning opportunities for thousands of soccer business professionals. The Wellness Universe gathers the best in the health and wellness industry to share their expertise in the Wellness Zone. Two days packed with talks and meet and greets with top wellness professionals. Hi, Joni, will you please introduce yourself? Hello! My name is Joni Johnston Neidigh. I am a Licensed Psychotherapist in the State of Florida and have been in private practice for over 26 years. I’m also a Certified Clinical Hypnotist who specializes in athletic performance. I have helped develop athletes from age-group to Olympians and professionals. I work with athletes, coaches, and teams from all over the United States. I have also hosted and worked with coaches and teams from other countries including Spain, Japan, Brazil, Australia, Scotland and more. I’ve presented at clubs, coaches-clinics, colleges, and high schools as well as the US and international hypnosis conventions. In addition, I am a certified trainer through HPTI and ICBCH for hypnosis. I am known for helping athletes, coaches, and parents learn to improve their mental game in a fun and easy way, offering one on one sessions face-to-face or via Skype, Zoom, or FaceTime. So, what are you bringing to Soccerex? I will be in person to help bring tools and techniques to Soccerex USA. 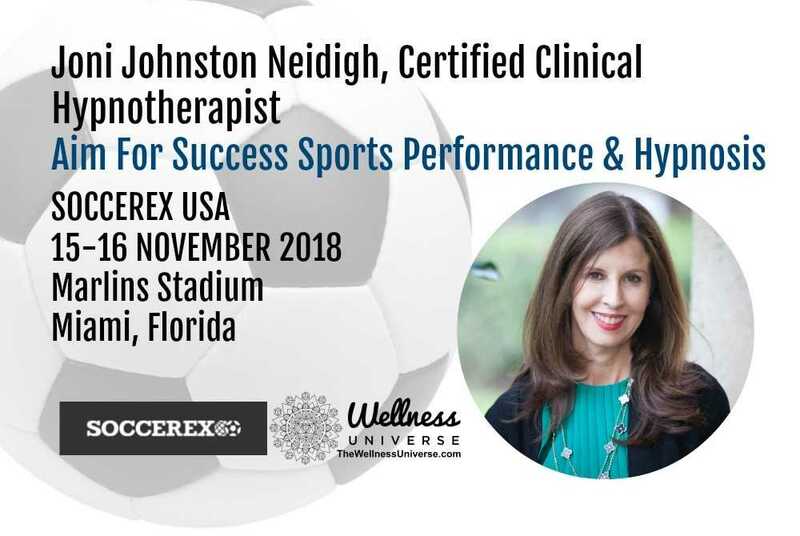 As a Certified Clinical Hypnotist and a Licensed Psychotherapist who specializes in sports performance, I will introduce Soccerex attendees to techniques that will propel athletes, teams, and organizations into a winning mindset. As an expert who has helped hundreds of athletes, coaches and teams from the age group level to Olympians and professionals, I am committed to assisting athletes to avoid limiting beliefs that lead to sports performance problems. You are obviously an expert in your area, but why do you feel Soccer needs your services? No matter how well an athlete trains physically or technically the result will not transfer to the competition setting without training the mind. The mind controls the body which explains why mental toughness and preparedness is so critically important to the game. When athletes, coaches, and teams don’t receive the payoff of success they often become confused, discouraged and even depressed. A depressed system will not move forward and certainly not produce a win. My services and products have been addressing this problem for many years with great success and I am excited about introducing them to Soccer at this exciting event. How will an individual benefit from hypnotherapy and your services in particular? Hypnotherapy is a simple, yet powerful way to make lasting changes in the brain. All of our habits are stored in the subconscious mind and hypnosis is the fastest and easiest way to reinforce those habits that contribute to success and eliminate those that are holding us back. My products and services take into consideration the time-poor nature of an athlete’s schedule. When athletes recognize that they can add something to their routine without feeling more pressure they are more likely to commit to doing it. How will an organization benefit? I speak to teams and organizations on a regular basis to address a myriad of issues. Hypnosis and other demonstrations of the power of the mind are often used to show how quickly mindset can be changed in order to reach higher levels of performance. In addition to the team and organizational talks, I often serve as a consultant to offer solutions or create products that will contribute to those solutions. How do you deliver your product or service? I deliver my products and services in many ways. My goal is to facilitate a decrease in stress and empowerment within an individual, team or organization. I often travel to work with individuals and teams. I also offer sessions on-line via FaceTime, Skype, and Zoom. My products include self-hypnosis audios, mental toughness technique demonstration videos, and my Gold Medal Mental Toughness Success Guide. 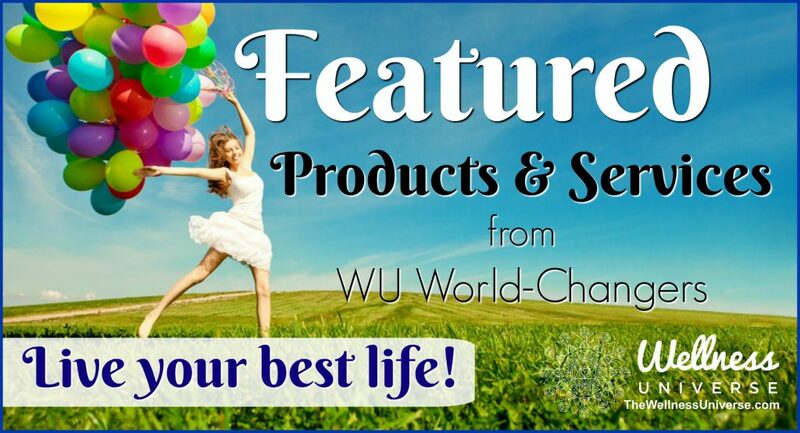 You can reach me on my Wellness Universe profile or you can also contact me on my website. Be sure to stop by Booth #127 at Soccerex to meet me in person. DAY 1 – November 15th at 4:45 – 5:05: The Power of the Mind: Using Hypnosis to Develop Gold Medal Mental Toughness for Soccer Players. Joni will be presenting on the power of the mind as it relates to high performance. She will explain what hypnosis is and what it isn’t. She will discuss how she uses hypnosis, self-hypnosis and neuro-linguistic programming techniques to assist athletes with handling pressure, adversity, and focus. Joni will demonstrate simple, portable yet powerful techniques that will help the athletes develop inner coaching that will help them overcome any internal or external obstacles that may be present at competitions. DAY 2 – November 16th at 1:50 – 2:10: High-Performance Thinking: Using the Subconscious Mind to Compete Out of Your Mind. Joni will be speaking about the importance of using the subconscious mind to perform at the highest-level during competition. She will also discuss the role of the conscious mind as it relates to athletic technical and physical training. Joni will demonstrate a few simple techniques that have helped athletes from the age group level to professionals successfully make that important shift from using the conscious to the subconscious mind when it’s time to step up and compete.